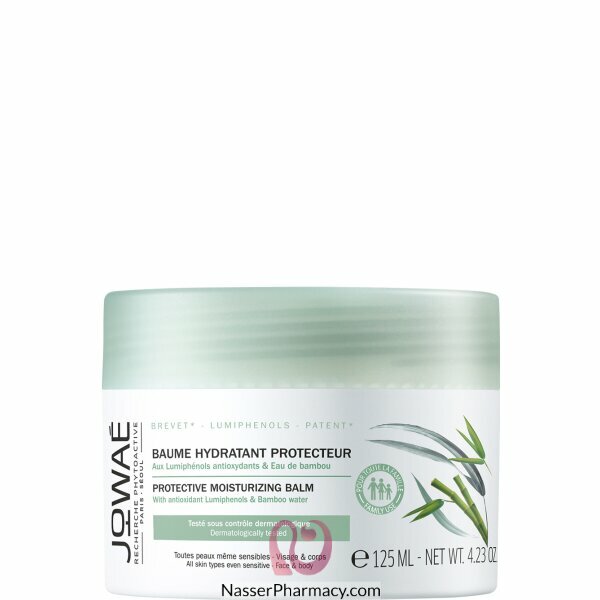 Jowaé Protective Moisturizing Balm 125ml is a moisturizing and protecting balm that suits to all skins types even sensitive, based on antioxidant Lumiphenol and bamboo water. Its formula contains also bamboo water, Allantoin, Bambussa, Shea butter and vegetable glycerin. After application, the skin is moisturized and protected for the whole day. It is gentle, supple and comfortable, as rebalanced.